Let the Staff In – One of the biggest mistakes we see is bars running events and promos and not filling the staff in on all the details. You need to let your staff know every aspect of your upcoming events so that they get excited and convey that excitement to the customers. Relevant Prizes – If you’re offering prizes to your guests during one of your events, make sure that the prizes are relevant to both your target market and the theme of the event. For example, if you are running a singles event, you could offer dinner for 2. If you are running a girls night out, your prize could be tickets to an upcoming chick flick. Staff Recon – It’s your staff who are the ones in constant contact with your customers. Since that’s the case, ask your bartenders, wait staff, bus boys and bar backs to talk with the customers and ask them what kind of events they’d like to see at your establishment. Details not Dollars – Bar promotions and events don’t have to be lavish and expensive to work. They just need to be planned out well in advance and executed properly. You should be running at least one new event each month. By the time one event is over, you’ll start planning for the next month’s event. You need this time to ensure that everything is set up, materials and decorations are ordered, prizing is secured and advertising has been taken care of. Reps Are Your Friends – An excellent way to get ideas for bar promotions and to get help executing them is to involve your liquor and beer reps. These guys and gals have seen it all before – they likely oversee many different bars and have seen tons of different promotions. Ask them for some ideas on what has worked well in the past and then get them involved. Make Em Have Fun, Loser – Something important to keep in mind is that, even if your event “fails”, that is to say that not many people attend, you still have to make sure that everyone who does show up has a great time. This means going ahead with any prizing, draws and / or contests that you had lined up and doing whatever you can to ensure people leave happy. The last point is one of the harder ones to accomplish. It’s human nature to want to recoil from the public and wallow in our own self-pity and humiliation for organizing and throwing a party for which 10 people showed. Being the hardest, it’s also the most important. You are going to have bar promotions that fail – accept it now. No one remembers the failures anyway – just make sure you don’t do it often and that the people who attended your failures had a blast anyway. 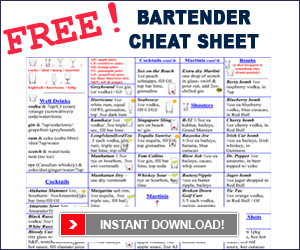 We hope you enjoyed these bar promotion tips. Be sure to check out our other pages on bar promotions, bar marketing, and bar events.